By Hugo Barrillon / May 14, 2018, 3:20 a.m.
Forty-one Palestinian protesters have been killed in the past few weeks by Israeli forces and hundreds more have been injured. The Palestinian “March of Return” is a six-week long protest that began on March 30 and will end on May 15. It is the 70th anniversary of what Palestinians bill “Nakba” or “Catastrophe,” in which hundreds of thousands of Palestinians were removed from their land to make room for the State of Israel. While organizations such as the UN Human Rights Office and Human Rights Watch have claimed that the protesters posed no threat to the lives or well-being of Israeli soldiers, the Israeli government claims to have acted within the bounds of an acceptable reaction, citing videos of the border fence being cut through and claims of protesters launching fireballs at Israeli Defense Force (IDF) soldiers. The Israeli government has also cited possible Hamas violence through border crossings and smokescreens along the border as a defense for their much-criticized safety measures. However, organizations such as the United Nations question the necessity of shootings and violence against the protesters, as the majority of protesters have done so peacefully, and Hamas even declared that its protesters would be peaceful and unarmed, save for a few rock throwers. By and large, these promises were followed, but certain independent actors, unrepresentative of the protests as a whole, were armed. Furthermore, even taking into account the rock throwing, Israel has been criticized, given the sharp discrepancy between high-powered firearms and comparatively primitive rock throwers. The short videos that have come out of these events demonstrate the contentious relationship between protesters and soldiers. These clips show everything from Palestinians burning stacks of tires to Israeli soldiers congratulating each other on the killing of a Palestinian protester. The relationship between Israel and Palestine has grown especially sour in recent years, due to the further creation of Israeli settlements on Palestinian territory and Israel’s overpowering tactics to defend these settlements. Israel’s justification of its heavy responses has been the subject of much debate, as it continues to defend its actions by claiming constant Palestinian hostility towards their country and citizens. Israel’s reaction to the protests will only serve to fuel animosity between the two countries. With no admission of wrongdoing from Israel, Palestinians will consider Israel’s reaction to these incidents as another instance of the IDF’s unjust firing on peaceful protesters in what they claim to be self-defense (such as in 2008 when the Israeli government broke a ceasefire and killed six Palestinian citizens). And these claims would not be unfounded: the UN Human Rights Office has stated that there are “strong indications” that the IDF used excessive force in dealing with the protesters, which could constitute a breach of international law and evidence for war crimes. In fact, a prosecutor from the International Criminal Court has called for an end to the violence, and the organization is monitoring the conflict as a part of its investigation into alleged crimes. Furthermore, the Palestinian Ambassador to the UN in New York said that the Security Council’s failure to condemn the violence against protesters encourages the Israeli “onslaught against [the Palestinian] people.” Thus, an Israel that continues to antagonize Palestine, with little meaningful condemnation from the international community, will do nothing to quell conflict and tensions and will only add fuel to protesters’ fire. Inside Israel, there has been an understanding that if these protests, which IDF Brigadier General Ronen Manelis claims have been a cover for hundreds of terrorists to perpetrate violent acts against the Israeli people, do not end, then Israelis will have no option but to respond to actions in the Gaza Strip. Manelis, however, has used vague language in describing such a response, not specifying what such a response would consist of. Far-right Israeli Education Minister Naftali Bennett has also come out in support of the soldiers, explaining that their comments (in which they celebrated the deaths of protesters) made while protecting Israeli borders are not important and should not be criticized by those in the media. There is strong support for the military deployed in Gaza among the people and politicians (60 percent of Israelis support military intervention in the Gaza Strip), and chances are that neither these altercations nor soldiers’ inappropriate comments will deter this backing. With days left in Nakba protests, protesters have moved their tents closer to the border fence and have even begun to attempt to take it down, heightening tensions and risking further violence. With both parties making slight but noticeable aggressions, the antagonism may re-escalate, especially due to the recent killing of three protesters. If the IDF continues to fire upon the largely peaceful protesters or if the protesters become more violent, move closer to the fence, or continue to breach it, then there is a high chance of escalation on all fronts. However, if the protesters remain peaceful and stop the destruction of the fence and the Israelis take the international criticism into account, the final weeks of these protests may not be as violent as the first weeks. However, based on the most recent killings of Palestinian protesters and the ever-increasing death count in these protests, there is little evidence for a de-escalation of protests in the near future. 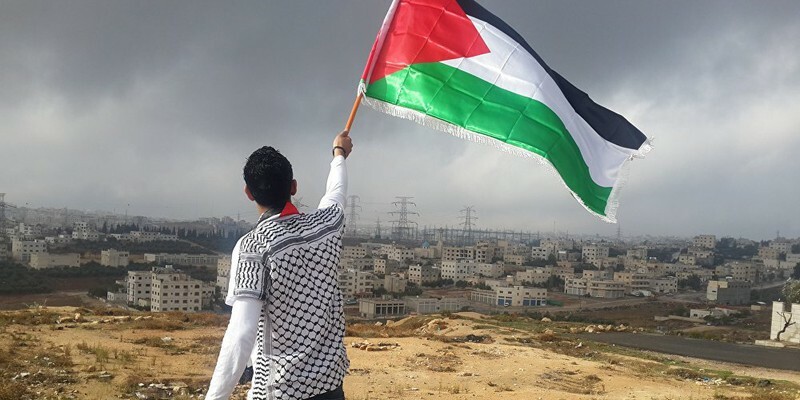 Both sides of the conflict are becoming more and more aggressive as “Nakba” approaches, and until “Nakba” itself (May 15), there is no peaceful and easy ending that can be foreseen. Hugo Barrillon is a Contributing Writer for the Gate. The image found in this article is licensed under the Creative Commons and can be found here.